[In 2003,] members of the Aethos team assisted a private equity client in evaluating the investment potential of a start-up company engaged in power generation in the Middle East. After conducting the initial due diligence procedures, however, the team members determined that a more sustainable and remunerative injection of the group’s investment portfolio could be achieved through a water desalination start-up company based in the same region. Members of the Aethos team conducted the commercial, technical and legal due diligence on the investment opportunity, before guiding the investor group in its acquisition of a water desalination business. Following the investment, Cherian Thomas sat on the board of directors as a shareholder representative and fulfilled the role of chairman of the board: he provided periodic reporting and acted as the investor liaison with the management team. Cherian and other members of the Aethos team provided incubation support to the start-up company in a meticulous effort to grow the client’s portfolio in the power generation and water treatment sector. This included supporting the original acquisition of the lease for the water desalination plant and advising directly on pricing and commercial discussions: for example, the team successfully negotiated a guaranteed offtake agreement with a key customer for the plant. The team also advised on and guided the selection of and negotiations with, EPC contractors for the initial plant, and additional plants, as part of the company’s expansion over following years. Under the guidance of Aethos team members, the start-up business experienced a surge in growth and significantly developed its output capacity: it evolved from a small plant producing 0.25 million Imperial gallons of water per day to a capacity of 3 million Imperial gallons per day today. Additionally, the company is now poised to establish several plants for third party industrial/commercial clients under BOO and BOOT schemes and has exceeded forecast investor returns. 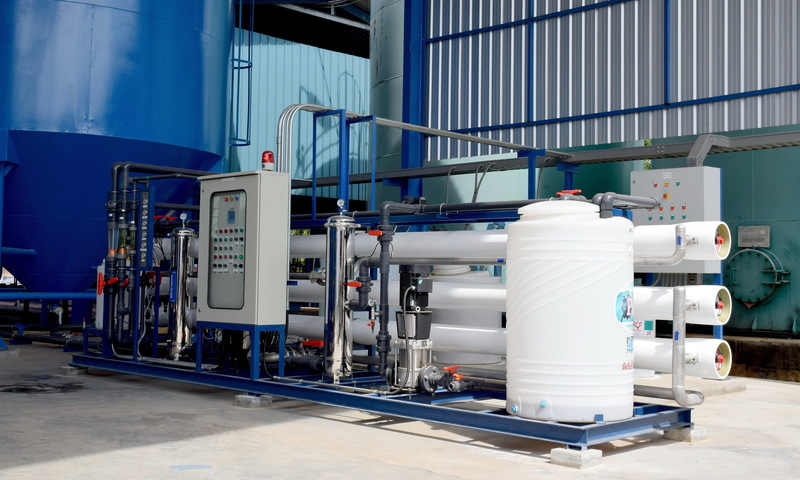 Through providing a compelling vision and developing a unique and effective business strategy for the start-up company on behalf of their private equity client, members of the Aethos team developed a long-standing relationship and affiliation with the water desalination company. Following the formation of Aethos, the company appointed them as strategic consultants. Aethos continue to provide specialist support to the senior management team when reviewing the growth strategy of the business. The team provide hands-on project management and transactional support to the client, leading contractual and commercial negotiations with key-chain suppliers and prospective customer groups. In conjunction with this, Aethos provide active HR and business development support, regularly reviewing operational efficiencies with the senior management team and conducting assessment workshops aimed specifically at improving C-suite executives’ abilities to identify and efficiently and effectively deal with potential operational and reputational weaknesses. For any associated recommendations Aethos identify through these workshops, the team support the executives in addressing and implementing any consequential organisational review and development procedures. Aethos’s Managing Director, Cherian Thomas, continues to sit on the company’s board of directors as the investor representative, where he continues to provide guidance and vision to the CEO and management team in respect of defining and reviewing the growth strategy and business plans.